The first time I saw Kevin is on Shark Tank TV show. I like his quick decision. It’s one of the qualities required for success in life. Never heard of this man but I really enjoyed the episode! Thanks for sharing. Millionaire Entrepreneur, Speaker, Trainer and Investor Ben Kelly shares his principles with you for Rapid Transformation. Ben Kelly was a financially crippled bricklayer with large debt along with a debilitating mindset and low self worth as he struggled for purpose with a feeling of very little hope of a better life. 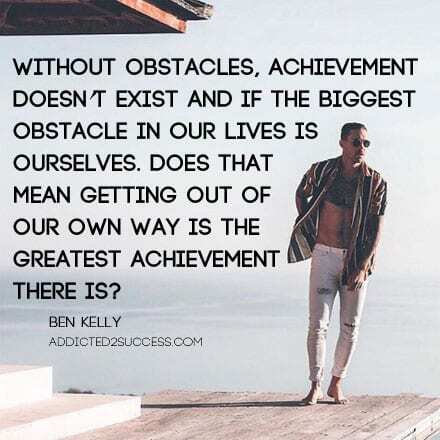 However, Ben managed to turn that around in 2 short years through a strong desire to learn, grow and apply all that he learned in facing his fears and identity attachments that held him back. Ben leads a movement of thousands around the world, speaking to large groups throughout Australia, the US, the UK and Asia sharing the lessons he has learned and the process that helped him to go from a depressed bricklayer unable to voice himself to being able to confidently speak to thousands on how life can change in a moment with a strong growth mindset and a willingness to leave behind what is not in service to your greater self. His successful network marketing business has allowed him, along with his sister Peta to retire their single mother of four “Christine” and alleviate all of her financial burden. Ben loves travelling the world to lead people to their own empowerment, growth and expansion so they can step into greater expressed versions of themselves. Click Play below to listen to the podcast episode with Ben Kelly. Garrain Jones is a powerful transformational leader and speaker who has broken through barriers most would see as impossible. Every industry he has stepped into he has achieved a high level of success and he continues to expand his network into the millions and networth into the multiple millions because he continues to challenge the way he looks at his potential and his life. He loves teaching others how they can do this too. In this podcast episode Garrain shares 6 interesting ways to expand your consciousness so you can achieve more success. He also shares a powerful exercise to create clarity and power in your life, this episode is not to be missed. Click Play below to listen to the podcast episode with Garrain Jones. Garrain Jones is the author of “Change Your Mindset, Change Your Life” and is a leader who believes that you can create whatever you believe and that you put your heart and soul into. New Jersey’s very own Women’s Lifestyle Architect and 6 Figure Transformational coach “Malaine Lea” shares the habits of Radically Authentic, Highly Impactful and Incredibly Intentional Leaders. As a Lifestyle Architect Malaine Lea loves supporting you in redefining and designing who you really are from the inside out. Click Play below to listen to the podcast episode with Malaine Lea. Jack Canfield the author of Chicken Soup for The Soul and The Success Principles hangs out with me last week to talk about how YOU can transform your life with self development. Jack Canfield has sold over half a billion books in his lifetime and has developed a number of incredible exercises and ways of thinking over the last few decades to help you elevate your success and live a life of empowerment. Click Play below to listen to the podcast episode with Jack Canfield.